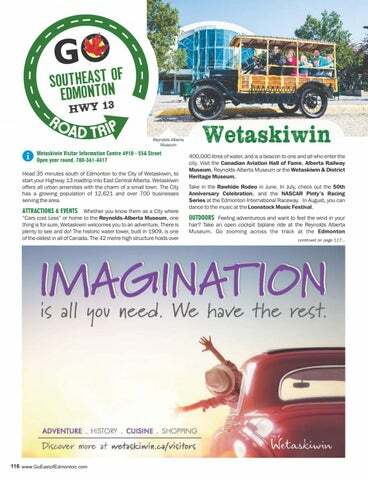 Wetaskiwin Visitor Information Centre 4910 - 55A Street Open year round. 780-361-4417 Head 35 minutes south of Edmonton to the City of Wetaskiwin, to start your Highway 13 roadtrip into East Central Alberta. Wetaskiwin offers all urban amenities with the charm of a small town. The City has a growing population of 12,621 and over 700 businesses serving the area. Wetaskiwin 400,000 litres of water, and is a beacon to one and all who enter the city. Visit the Canadian Aviation Hall of Fame, Alberta Railway Museum, Reynolds-Alberta Museum or the Wetaskiwin & District Heritage Museum. Take in the Rawhide Rodeo in June. 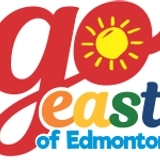 In July, check out the 50th Anniversary Celebration, and the NASCAR Pinty’s Racing Series at the Edmonton International Raceway. In August, you can dance to the music at the Loonstock Music Festival.